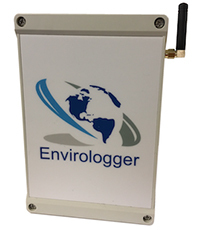 Recording and monitoring data has taken a new meaning with the latest Envirologger systems. Envirologger systems support a wide range of environmental monitoring, data communication, and management systems based on machine to machine (M2M) technology. This technology allows the user to view data in real time from a monitoring system which provides the ability to receive alerts when measurements go above or below preset limits. These alerts encourage quick detection of faults in the monitoring system as well as reducing the amount of time and effort required from the technician or operator. Data can be viewed for analysis anywhere in a comprehensible format by utilizing process oriented software. An example of the averaged data provided from Envirologger software in use with a Fidas monitoring station can be seen below. A trial period to experience the interface and view available data can be arranged with the use of a temporary username and password combination upon request. * After testing the sampling station in a suburb environment, it was relocated to Rutger's Pam Site on October 29th. 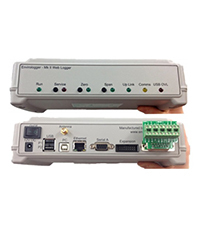 A data logger designed to connect multiple monitors or sensors of any type to a cloud based data network. A data logger which can accept digital or analog inputs from several popular environmental monitoring sensors and instruments.